While talking about the Leadership-Ambition gap, in her book “Lean In,” Sheryl Sandberg aptly remarks, “Professional ambition is expected of men but is optional — or worse, sometimes even a negative — for women.” I can truly vouch for this statement as I come from a very conservative culture. I realized that if I wanted to make something meaningful of my life and have an impact on society, I would have to find a more supportive community of like-minded people with similar values. I realized that to start even thinking about the bigger picture, I had to educate myself and build that community. I decided to enroll in a business school. 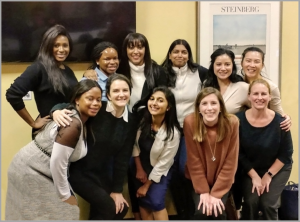 When LeanIn.org and McKinsey partnered in a comprehensive study of the state of women in corporate America, they looked at data from 222 companies employing more than 12 million people. Two themes emerged in 2017: First, on average, women continue to be hired and promoted at lower rates than men, and at senior levels, the gap in promotions is more pronounced for women of color. Second, the lower representation of women does not appear to be driven by differences in company-level attrition: on average, women and men are leaving their organizations at about the same rate, and very few plan to leave the workforce to focus on family. How will the MBA help? It is a flexible graduate degree that can be applied to improve the largest multinational company, the smallest nonprofit organization or a private startup. The degree provides the necessary skills, knowledge, resources and relationships to directly improve your career. Joining a business school gives you the access to not only your school but to a broader alumni community from around the world, who are working in diverse professional environments. As they say, “It’s a small world.” These relationships and personal networks can open doors to opportunities and professional dimensions that you could not have imagined previously. You leave with friendships that last beyond graduation. This peer community provides strength, vision, ideas and business leads as you continue to ascend the ladder of leadership in your career. Women with MBAs see gains in their earning potential from 55 to 65 percent. About 85 percent of women their career growth to their degree. Earning potential is not just the compensation that you demand but it is also the potential to expand your access to a variety of industries and new positions that would enable you to make that money. This flexibility carries tremendous value because we never know how the demands of the job market will change in the future. Even if you exit the workforce to start a family or to take care of that newborn baby and enjoy some mama-time, your MBA will equip you to re-enter the workforce or transition to alternative channels. An MBA is a gateway to game-changing assets and will eventually and inevitably lead to positive returns on investment. Be sure to make the most of the Four Cs: Classroom experience, Career exploration, Cultural engagement and Community life, and you will be armed with leadership skills and a solid foundation for an enduring personal brand. 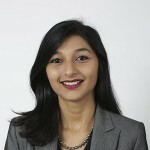 Devyani Sharma WEMBA19 is a senior data engineer at Cox Automotive with 12 years of experience as a software engineer with a focus on IT development projects. Sharma works on enterprise data platform delivery at Cox Auto, including AWS analytics, manipulation and storage. Sharma is experienced in Scrum/Agile, Lean and XP methodologies and is a Certified Scrum Master as well as PMI-ACP (Agile Certified Practitioner). Sharma is originally from India and is in the WEMBA program with a goal of transitioning her career. Sharma has been living and working in the U.S. for the past ten years and holds a master’s degree in computer science. She is also a proud mom of a five-year-old boy who motivates her to constantly improve and be ahead of her game.